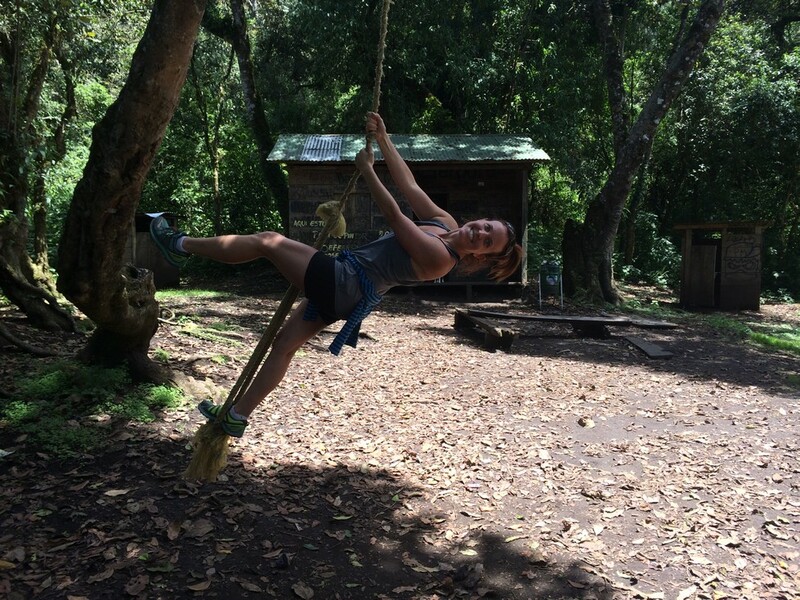 Expat adventures of our family life and travels through Central America and beyond! Here we chronicle our expat family adventures as we travel through Central America. We document our travel tips, exploration of cultures, and family life abroad. Looming over Lake Atitlan are 3 volcanoes. They are beautiful and dominating. 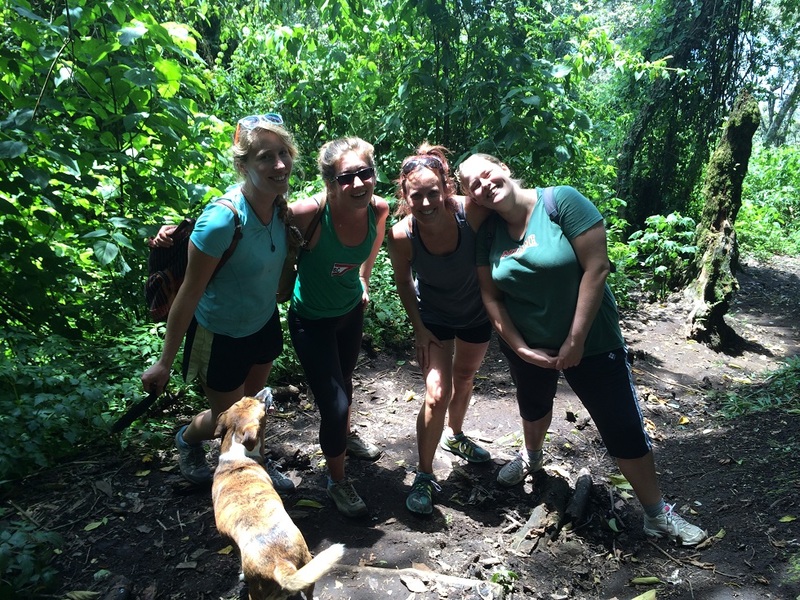 Now that our time in Guatemala is coming to an end, we felt the urgency to hike one of them, San Pedro. San Pedro is the shortest of the three volcanoes around the lake. It stands at 3,020 meters (about 9,900 feet) above sea level and is the most climbed. Last weekend, Ken and I hired our housekeeper's son to babysit all day, woke up early, met up with my girlfriends, and caught a boat across the lake. Unfortunately we missed the first three boats that left Panajachel that morning. We ended up waiting about 45 minutes for our boat to leave. Ugh...but, that is just the way life works here. 3 forms of transportation today: a boat to the town of San Pedro, a tuk-tuk to the trail and our feet to the top of San Pedro. At the dock we were approached by a few locals wanting to be our guide up the mountain. We'd done enough research to know that this probably wasn't necessary. One man was trying to sell us on a package including transportation to and from the start of the trail, along with taking us all the way to the top. We politely declined, and he accompanied us to the entrance anyway. Obviously we’re in the right area! Trail head – water, snacks, hiking shoes and dog. All ready to go. At the park we paid the entrance fee of Q100 (about $13). We were expecting to pay this, but it was odd that we paid it to the same man who hadn't left us since we got off the boat. There were other officials around, so it seemed legit enough. We signed the climbing log and our guide (that we did not hire) accompanied us for the first 30 minutes. He pointed out some interesting vegetation, warned us about turning around at noon no matter where we were and eventually left us. Because this is the rainy season, our guide reinforced that we turn around at noon, even if we weren't at the top. He didn't want us getting caught on the trail during a heavy rainfall. The terrain was tough, but well maintained. It's obvious that some of the fee to climb San Pedro went towards keeping the trail in good condition. At several points, there were steps to help one with footing. 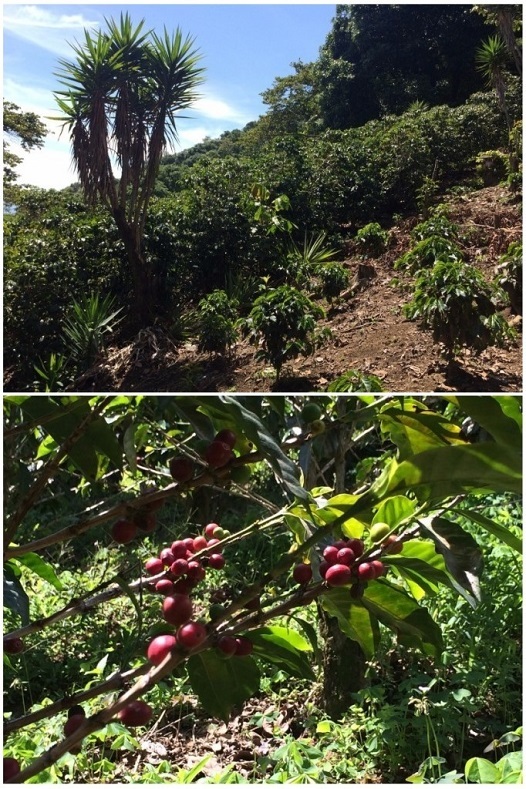 We passed through mature coffee fields, recently planted corn fields and pine forests. Occasionally we climbed over rocks. This is the typical steepness and terrain of the trail. Hiking through a small field of coffee. Eventually, we could see the town on the other side of this peak. Hiking through maize fields. The terrain wasn’t getting any flatter. 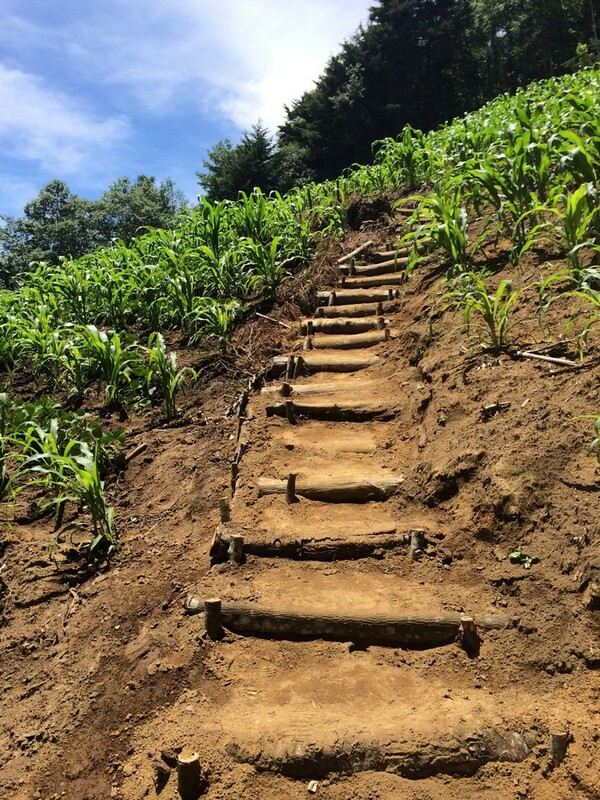 The trail is well maintained with several sections of stairs. It took us about 3 hours to climb to the top, and we arrived at 12:35. So much for turning around at noon. (Yeah, that wasn't going to happen.) With us at the top was a group of French and Spanish hikers with a guide. We figured if their guide hadn't turned them around, then we were okay too. When you see this stairway, you’re at the top! I had run this same trail on our initial visit to Guatemala. Ken had to opt out during that visit, but was able to redeem himself today. At the half-way point, he left me and the girls and ran to the top. Panoramic view of Lake Atitlan with Tolimán and Atitlán Volcanoes on the right. Nearly two miles up. It got a little chilly at the top which mostly felt great! Two steps back and we’d fall off the cliff. We left the top at 1:00, and it took us 2 hours to get to the bottom. We did run some parts downhill, but our feet, toes, ankles, legs and butts were getting sore and tired. A little silliness on the way down. This cabin is 15 minutes from the top. Some people stay overnight here and watch the sunrise in the morning. Others wake up at 3:00 am and hike to the top in the dark to watch the sunrise. After a quick meal at our favorite taco place in San Pedro, we caught a boat back to Panajachel. This was by far one of my favorite days. I am so lucky to have worked with these amazing women and have no doubt they will be friends for life. In just three short weeks, we will scatter to other places (Honduras, Costa Rica, possibly even Asia) and begin new adventures. Thank you Christine, Lea, and Lisa for these memories. You will forever be a part of our Guatemala. My posse! I will miss these women but I look forward to following their adventures in other countries next year. That's said, we found it well worth the money. It was also the gift that kept on giving. Going up and down stairs was painful for the next few days. Thanks so much for reading this post! If you enjoyed it leave us a comment below or click one of the Share buttons to the left!